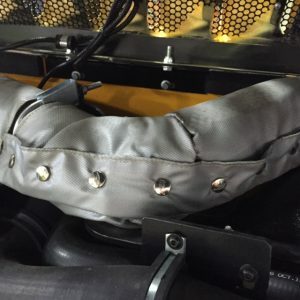 To handle the high temperatures from diesel exhaust systems, heat blankets are cut from silicone-coated fiberglass fabric or other heat-resistant cloth. 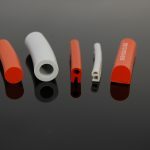 They are sewn with high-temperature thread made of Kevlar or fiberglass, and can have metal snaps or Velcro fasteners for ease-of-installation. Elasto Proxy custom-fabricates heat blankets for mobile equipment and works with diesel equipment owners who need to achieve Tier 4 compliance, a strict pollution control standard from the U.S. Environmental Protection Agency (EPA). The EPA’s Tier 4 standard is the latest in a series of regulations that are designed to reduce emissions from off-road diesel engines. To promote Tier 4 compliance, mobile equipment manufacturers are installing powerplants that use ultra-low sulfur fuel and CJ-4 low ash oil. These petroleum products produce lower levels of nitrogen oxides (NoX), but Tier 4 also requires diesel particulate filters (DPF) that trap particulate matter (PM) in the exhaust stream. In a diesel exhaust system, PM that isn’t incinerated near the point of combustion flows downstream. Over time, accumulations of soot and ash can clog the DPF. Because these large ceramic filters are difficult to service and expensive to replace, fleet owners and operators want ways to reduce maintenance costs and prevent equipment downtime. Wrapping a heat blanket around the exhaust pipe increases the temperature near the point of combustion so that more PM is eliminated right at the source. 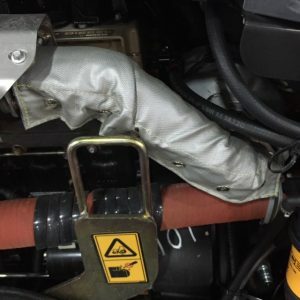 Heat blankets aren’t the only type of exhaust insulation that can be used with mobile equipment, but exhaust blankets provide advantages over heat shields and exhaust wrap. Typically, heat shields are made of inexpensive metals that are prone to rust and corrosion. Heat shields also have welds that can break, or use fasteners that can loosen from vibrations. Heat shields can use aluminum foil instead of metal plates, but thin-gauge metal materials are subject to tearing and folding. Fiberglass exhaust wraps provide another alternative to heat blankets, but this type of exhaust insulation presents its own challenges. For starters, wrapping or unwrapping an exhaust pipe takes time, which increases your labor costs. The fabric requires cutting, but is also subject to fraying. Plus, unless maintenance personnel wrap the pipe tightly enough, the insulation may lose some of its effectiveness. To hold the exhaust wrap in place, fasteners such as thermal ties, hose clamps, or wire are required. 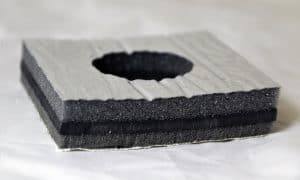 Compared to other types of exhaust insulation, heat blankets from Elasto Proxy are reliable and cost-effective. Unlike heat shields, high-temperature textiles won’t rust and can withstand vibrations. Unlike exhaust wrap, there’s no cutting, fraying, or fussing with complicated fasteners. You can choose heat blankets with metal snaps, or that use Velcro instead. Either way, these built-in-fasteners are easy-to-attach and hold securely in place. They also detach readily when engine maintenance is required. Elasto Proxy works closely with the mobile equipment industry and can custom-fabricate heat blankets to your exact specifications. 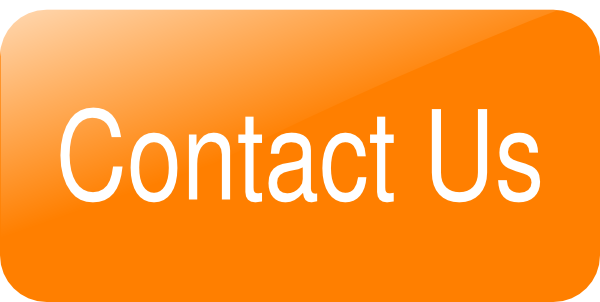 We also offer design assistance and can help you with material selection so that your heat blankets use the right materials in the proper thicknesses. 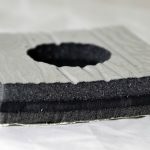 Elasto Proxy also supply other types of mobile equipment insulation such as cab insulation, engine bay insulation, rubber floor mats, and rubber gaskets for doors and windows.